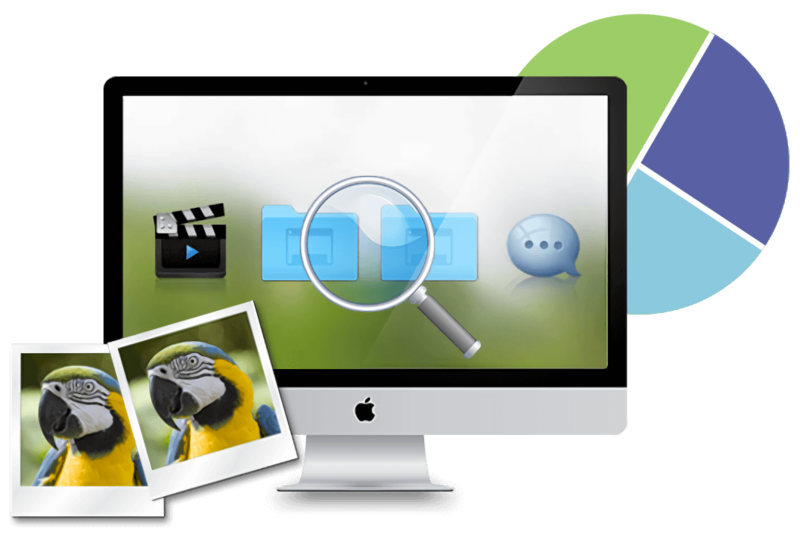 Duplicate File Finder – efficient tool which allows you quickly find duplicate files and folders on your Mac, compare duplicate and similar folders and get rid of useless files copies. Thank you for taking your time for the review. We love to hear about your experience with our applications. We really appreciate it and it helps us to develop our software and make it better with each update! Wow. Works great. Simple to use. No trouble figuring it out. My only complaint is that it seems it was cheaper to install the trial and upgrade to Pro than to just but the program outright. I’d recommend running the trial anyway… it worked great and allowed me to know if it was worthwhile to buy the pro version. I can’t believe how much space I freed up. I can probably now keep this Mac for another year or so. I think I have OCD for saving files, this really has helped to get rid of duplicates documents. Easy to use and fast. The App Store description tells you what you need to know about use. Equal to similar paid apps. Very useful for quickly going through a folder or disk where there may be duplicates in different places or even with different names. It finds files that are duplicates even when the names of the files are entirely different and in different folders! It lets you review and check them out before deleting whichever ones you don’t want to keep. Very effective. This is the best and well worth the price! You can even do most operations for free. Saves a lot of time. Does exact file and folder matching as well as optional “similar” matching too. Does auto-select. And you can specify in the settings to always prefer to keep the files from a specific location, to help with the auto-select. One area for improvement is the order in which is shows the duplicate results. When you are skimming down the list, the 2 folders you are comparing can sometimes swap in order. Otherwise it would be very fast to visually skim through. Still a very good app though. This app is easy to use. I like the autoselect feature whereby one can exclude specific folders from the search process. Good flexibility. DFF has been wonderful in helping me to remove duplicate files after migrating three portable hard drives onto one large disk. It saved me 415 GB of file space out of the original 1.9GB. I removed thousands of duplicates within less than a day after years of copying files from one drive to another to create redundant copies. The duplicate folders and similar folders features are well worth the upgrade to remove multiple copies of directories at once, instead of removing each file separately. This saved me a great deal of time as I had multiple copies of photo directories. The interface is fast and elegant. DFF took about an hour or two to analyze hundreds of thousands of files (1.9GB). It neatly organized them so one could remove duplicate folders, remove duplicate files in similar folders, and leave the unique files behind. All other files can be removed one at a time, and “Auto-Select” saves time clicking on wich version you would like to remove. The application also safeguards you from removing all copies of a single file or directory by forcing you to enable that function and warns you politely before marking all copies for removal, if you chose to do so manually. Thank you for this wonderful application! I do like that it will find and delete my photos but the deletion process could be easier or overall there could be a tutorial on the deletion process that would save a lot of time. All in all I do think this is a good program, just needs some tweaking. Very Useful and user friendly Interface. Just what I needed, very easy and visual. Recommend for cleaning up hard drives. Works like magic. Fast! Nice interface! Super practical app.This is what I needed. It works very efficient and fast, even with older computers and harddisks. It finds files which are double, even if they have totally different names. Amazing. Without this app I would have spent days finding and erasing duplicates while now in just couple of hours and I am talking about terabytes of data. Thanks for all of you guys who developed it. I got to the point i needed some help with files. I am happy to find that app. I didn’t hesitate to get pro version. It works great. Works great, good interface and well designed! Pro version functions can be very useful for some people. Tell us what you think about Duplicate File Finder!